I tend to prefer novels that demonstrate their themes through the events of the plot rather than bringing the plot to a halt while the characters discuss ideas. So I thought that the didacticism in this novel did become too overt at times. Yet I did consider the resolution of the plot an eloquent statement about the value of sacred cycles in any culture. I enjoyed some of the character background. I think I would have loved to have been a child with a puppeteer as a parent like central character Lydia Rosenstrom. The bond that resulted from Lydia’s shared experience with her niece Ivey made their relationship seem more intense. I also thought that the background of computer genius Claude Vandermeer made him more sympathetic to me. There were aspects of the characterization that I didn’t care for. 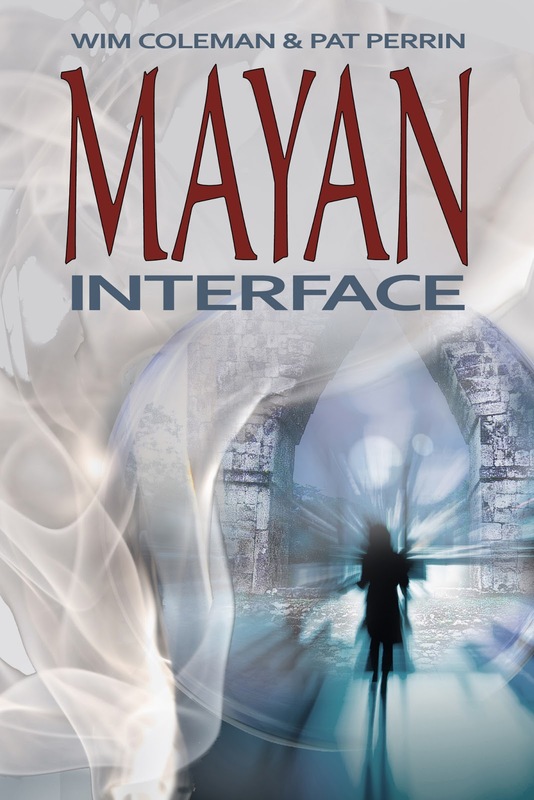 Although Mayan Interface is not New Age oriented as a whole, Lydia exhibited certain New Age attitudes that I occasionally found bothersome. I also didn’t like the fact that the Maya holy man was called “Nacho”. It seemed to me that naming him after a snack trivializes him. It’s hard to take a character with such a name seriously. On the other hand, I wondered if the historical personage who became the VR persona of one of the characters was too imposing for him. Perhaps the authors were attempting to show that he had large aspirations. The novel itself had large aspirations that I rather admired . I liked the main thematic thrust of this novel. The idea that time doesn’t exist on the plane that is accessed by mystics, mediums and shamans is common to a number of spiritual traditions. The idea that virtual reality might have unpredictable impact on people is an important observation that we need to heed. We have already seen that our entertainment technology can have negative effects on some individuals in the case of 3D movies. Perhaps one of the lessons of this novel is that we should be more cautious about technological innovations. Lydia Rosenstrom isn't just an archaeologist. She is also a visionary who has trained with a Maya shaman. When I first read this background, I imagined that this aspect of the character would probably be modeled on the books of Casteneda whose authenticity is very questionable, but I was pleasantly surprised. The authors, Wim Coleman and Pat Perrin, seem to have done their spiritual homework. We learn in Mayan Interface that the shaman or holy man is called a "hmen". Google thought I had mis-spelled "hymen" when I used it as a search term. Yet when I scrolled down in the result, I eventually scored with a Google books excerpt at Hmen in Maya History and Religion . According to John Eric Sidney Thompson ,the author of the excerpt who was an English archaeologist that specialized in the Mayans, the hmenob (plural of hmen) are the last surviving remnant of the Maya priesthood. As a minor village religious functionary at the bottom of the priestly hierarchy , a hmen was beneath the notice of the conquistadors. I thought that was an interesting piece of historical context for this novel. On the other hand, I am taking a course in legal reference at library school this semester, so I noticed a possible legal problem. The artifacts that Lydia was studying actually belong to Mexico, but Lydia was assisting in incorporating them in a virtual exhibit at an American museum. At no point in this novel is it ever mentioned that Lydia got permission or even consulted with the Mexican authorities about this project. In a course on archives, I learned that a curator should never include images in an exhibit without permission. When I did a search on this topic, I found a very interesting article called Digitization in an Archival Environment by Sally McKay of the Getty Research Institute that originally appeared in the Electronic Journal of Academic and Special Librarianship in 2003. This article has a section on the legal aspect of digitization which emphasized that ownership needs to be dealt with before any digitization project begins. I would like to believe that Lydia or the museum did consult with the Mexican authorities beforehand. If they failed to do so, I believe that they would have been behaving unethically. The issue of cultural imperialism raises its ugly head. 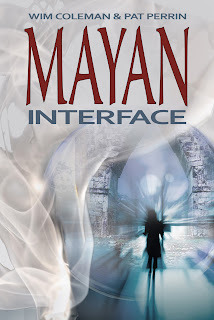 American museums need to respect the fact that Mayan artifacts are part of Mexico's heritage, and I feel that this should be done in fiction as well.